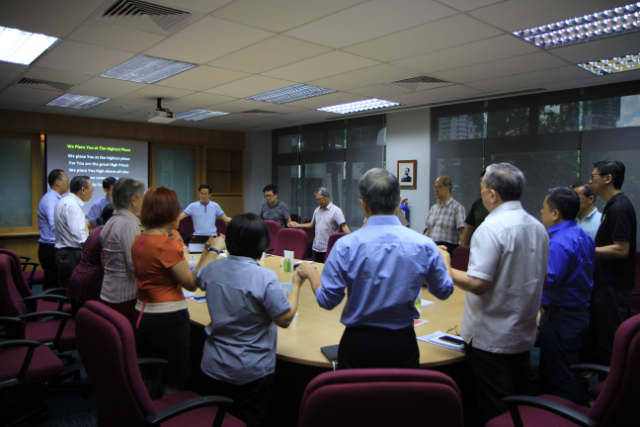 Date/Time - 21-22 Dec (Thursday-Friday), 9.00 a.m. – 6.30 p.m. 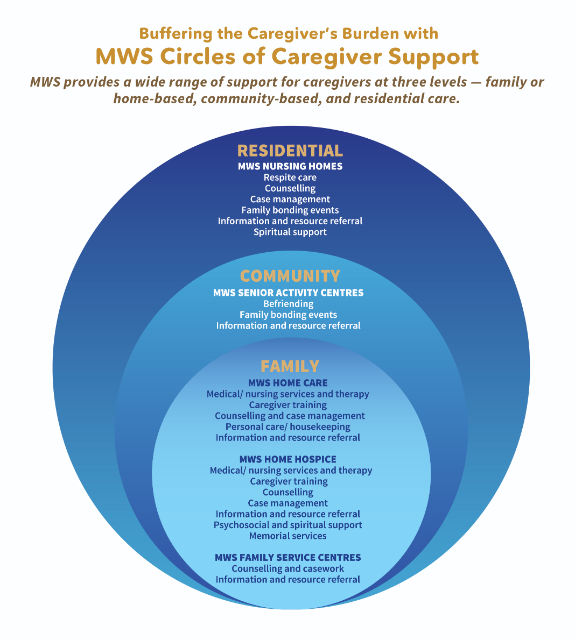 Description - Are you feeling increasingly bored, disillusioned and hopeless? 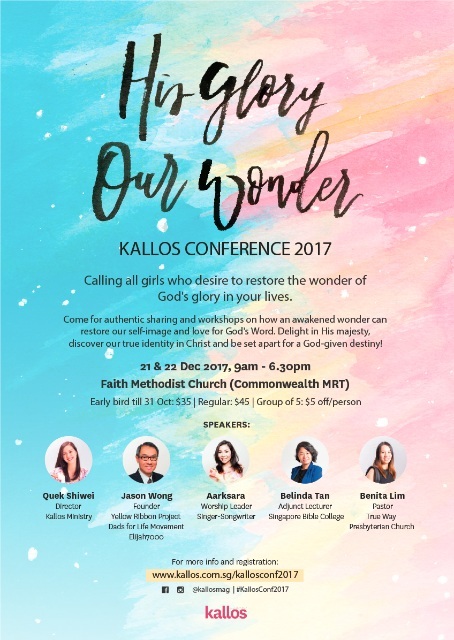 The theme for this year’s Kallos Conference – ‘​His Glory, Our Wonder’ – came out of an inspired desire to restore the wonder of God’s glory in the lives of young ladies. Come find out how an awakened wonder can restore your self-image and love for God’s Word, and to be delighted in His majesty, while discovering your true identity and understanding that you are set apart for a God-given destiny. To register and purchase tickets or for more information, visit www.kallos.com.sg/kallosconf2017 or follow Kallos on Facebook or Instagram @kallosmag for updates.